Eagan Pet Clinic is equipped with state-of-the-art equipment which enables us to achieve a more rapid and precise treatment of your pet's condition. Radiographs, or x-rays, help our veterinarians evaluate musculoskeletal, cardiovascular, gastrointestinal, reproductive and urinary systems.The image quality of a digital x-ray is much higher than a film x-ray. 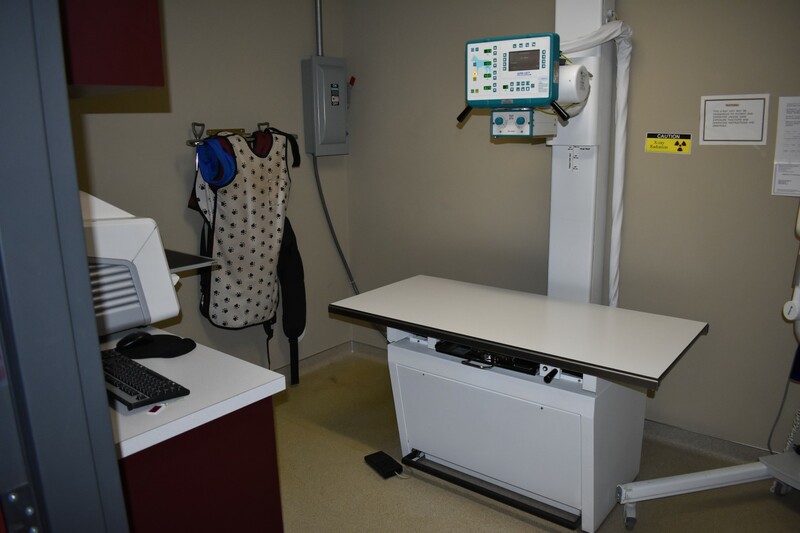 We are able to view the x-ray almost immediately so we can diagnose and treat your pet rapidly. Radiation exposure to your pet is minimized because we use far less radiation for digital radiography. 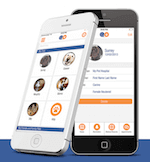 We can also send your pet's images to a board-certified radiologist for a second opinion when needed. 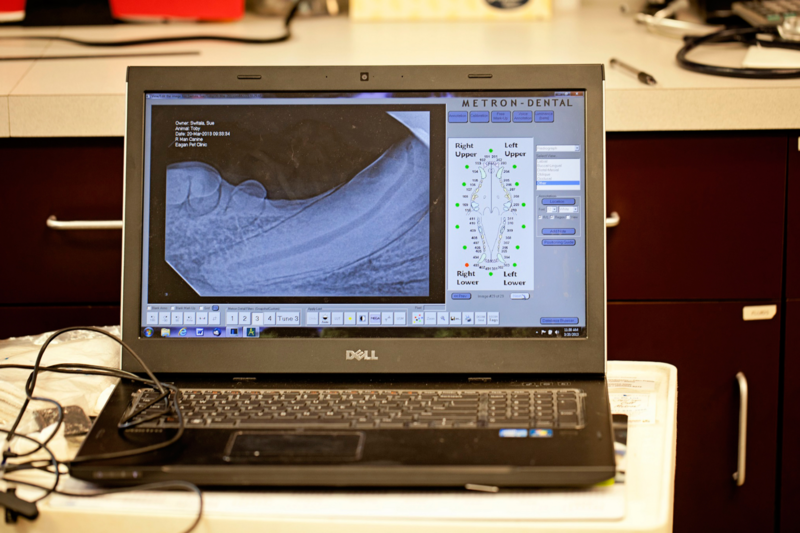 Digital dental radiology allows us to visualize the internal structure of your pet's teeth along with the roots and surrounding bone. Sixty percent of animal's teeth lie below the gum line. These highly detailed x-rays allow us to diagnose bone loss or hidden dental disease that may be present at tooth roots and along the jawbone. The digital images are displayed on the computer screen within a few seconds following exposure, therefore reducing the amount of time your dog or cat is under anesthesia. Ultrasound equipment aids us in diagnosing many dog and cat health conditions. Ultrasound is a painless, non-invasive and safe tool allowing a higher level of tissue visualization than an x-ray. It produces an image through high frequency sound waves aimed at a certain area of the body. 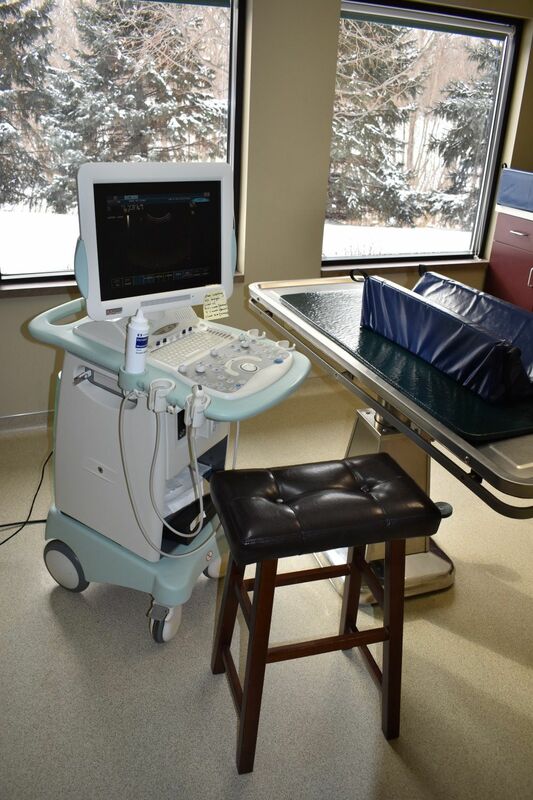 Ultrasound is frequently utilized by the veterinarians at Eagan Pet Clinic to diagnose conditions such as liver disease, pancreatitis, masses or enlarged lymph nodes in the abdomen, thickening or abnormalities of the intestines, and bladder stones. In some cases the ultrasound images are sent to a board certified radiologist to aid our doctors in diagnosis and treatment of patients. A video otoscope is a tiny magnified camera that is pass deep into the ear canal. This piece of equipment allows us to diagnose a number of conditions that are oftentimes missed on an examination of the ears in the exam room. This includes conditions such as middle and inner ear infections, polyps/masses, foreign objects, and ear mites. 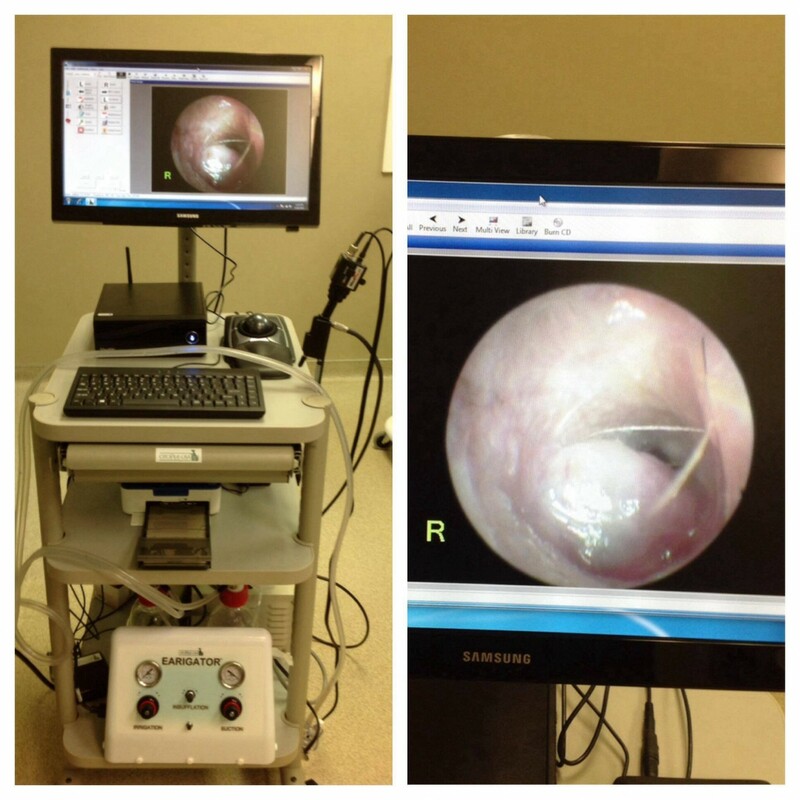 The otoscope also allows us to do deep ear flushing, surgically remove polyps and take biopsy samples of masses. Our on-site laboratory allows for most screening tests to be completed within a very short period of time. Blood chemistry profiles, complete blood counts, urinalysis, urine cultures and pre-surgical screenings are among the many tests we perform in-house. We also routinely look at cells from masses to evaluate for possible underlying cancers. 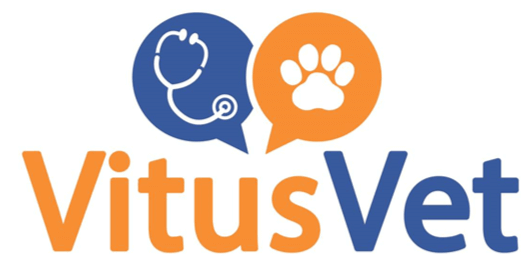 Reliable, independent veterinary laboratories are utilized for other tests when deemed appropriate and most test results are available the next business day. We also routinely perform in-house urine cultures, with results being available the next day in order to help guide appropriate antibiotic therapy.